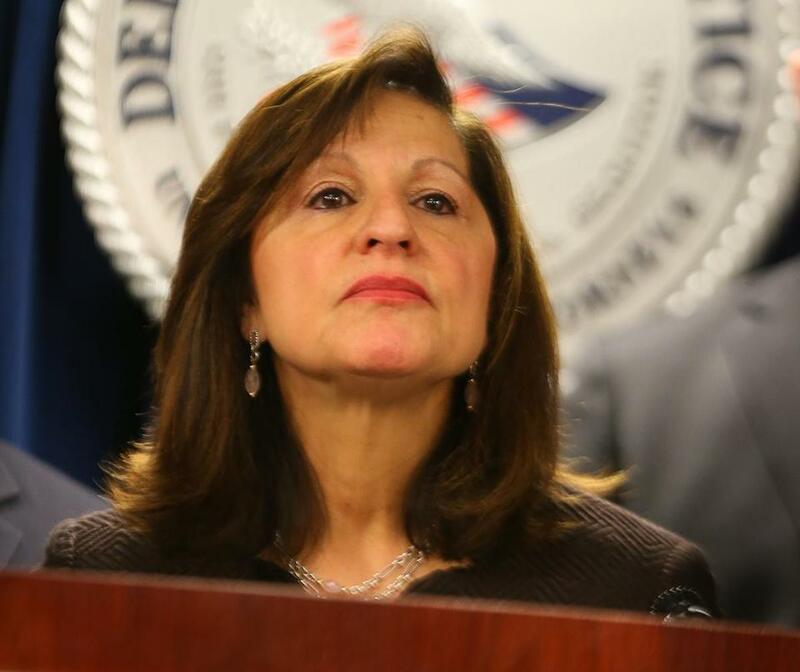 US Attorney Carmen M. Ortiz’s office has more recently been looking into actions of local labor union officials. The federal appeals court decision Monday overturning the high-profile convictions of former state Probation Department officials helped carve a new landscape for prosecutors — one that, legal analysts say, may make US Attorney Carmen M. Ortiz a bit more selective in indicting public officials as she finishes out her term. “The [appeals court] has set the same cautionary tone the US Supreme Court has recently offered, that federal prosecutors should not be trying to make a determination of what is good government or bad government,” said former US attorney Michael Sullivan, a Republican. Monday's decision, as well as a June Supreme Court ruling involving influence peddling in Virginia, both lambasted prosecutors for attempting to stretch federal laws to criminalize local politics, setting a higher bar for federal prosecutions of actions that are typically regulated at the state level. Taken together, the two decisions send up cautions to federal prosecutors taking aim at public officials — including, potentially, cases initiated by Ortiz, who is expected to leave office when Donald Trump becomes president. The Globe has reported that Ortiz’s office has been investigating whether outgoing state Senator Brian Joyce used his office for personal gain, and separately has been pursuing wrongdoing by local labor leaders. The 2014 convictions of three former Probation Department leaders accused of political corruption have been vacated. In that investigation, Mayor Martin J. Walsh is being looked at for some of his work as a labor leader before he was elected mayor. Walsh has denied any wrongdoing. The Monday appeals court decision tossed out the convictions of former Probation Department head John J. O’Brien and his top deputies, Elizabeth Tavares and William Burke III. The three defendants were found guilty in 2014 of running their department like a criminal enterprise by setting up a rigged hiring system that favored politically connected job candidates. The case had been one of Ortiz’s signature indictments in her eight years as the region’s top federal prosecutor, and she initially had declared that the convictions would put an end to a pay-to-play culture on Beacon Hill. Monday’s appeals court decision overturning those convictions found that federal prosecutors overstepped their authority by trying to use federal laws to criminalize state political affairs, which ought to be regulated at the state level. That was an echo of the Virginia case, in which the Supreme Court decision that overturned the conviction of former Virginia governor Robert McDonnell, who accepted $175,000 in gifts and loans from a businessman. The court found that prosecutors could not show that McDonnell had committed any state crime. 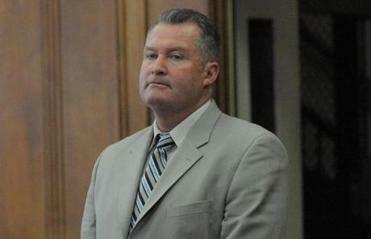 A spokeswoman said Ortiz has not decided whether to appeal the probation ruling. “I hope it sends a message that the federal prosecuting authorities ought to think twice about really destroying people’s personal, professional lives based on legal theories that are on the outer fringes of what the courts and the laws recognize,” said William Fick, one of the attorneys for O’Brien. Fick said the appeals court decision corrected an unjust conviction, but that O’Brien and his codefendants had already suffered from the publicity of the decision to bring an indictment in the first place. “Not only the three defendants, but countless people in the State House had their lives turned upside down for years, which is incredibly destructive to the day-to-day operations of state government, which is important and ought to be respected,” Fick added. The appeals court is also weighing another high-profile case that could influence Ortiz’s future cases: a case involving alleged extortion by labor unions, a separate focus of her tenure. Her office has prosecuted multiple union members for using threats of violence to extort business owners, and two City Hall aides have been indicted on extortion charges, accused of coercing businesses into hiring union members under the threat of losing city permits. The Globe has reported that the investigation into Walsh could be coming to an end. Tom Kiley, a Boston-based attorney who is representing one of the City Hall aides, said the labor and public corruption prosecutions follow different laws and fact patterns, but they both fall under a gray area that has been mapped out by the recent court decisions — federal prosecution of local matters. “It is these general, elastic federal statutes that probably were never meant to be applied in the context of which they are being applied,” said Kiley, who was not speaking directly about his case, but about the recent court decisions. George Vien, a former prosecutor who now works as a defense lawyer, said prosecutors appropriately indicted in the probation case, and he disagreed with the court decision to toss the convictions. But he also acknowledged that the case followed a Supreme Court ruling that set a new standard that prosecutors will now have to abide by. “The key issue here is there was a change in the law,” he said. Regardless, Vien said, the rulings should not influence a prosecutor’s decision to move forward with an appropriate case. Peter Ubertaccio, a political science professor at Stonehill College, said Ortiz and her successor will have to consider that legal standard, and also the political sensitivity of the decision, in weighing whether to pursue similar cases. He added, though, that the sharp rebuke from the appeals court will probably not deter such prosecutions, either, noting the political ambitions of prosecutors to pursue the “rich target” of public corruption in Massachusetts.